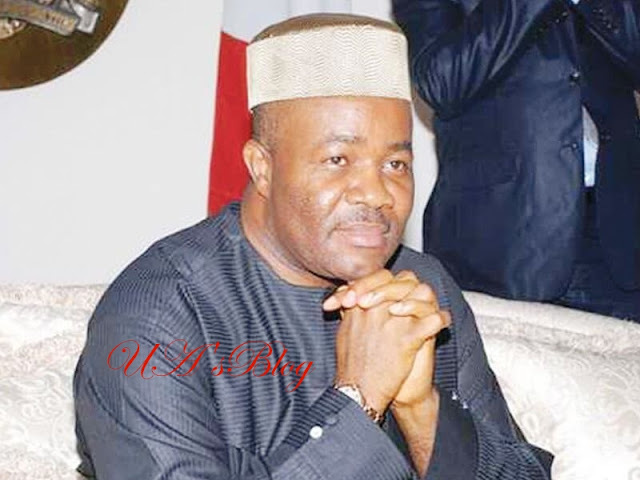 Former Governor of Akwa Ibom State Governor and Chieftain of the All Progressive Congress, Chief Godswill Akpabio has allegedly sought Buhari’s direct intervention in changing the Resident Electoral Commissioner (REC) for Akwa Ibom State, Mr Mike Igini. The Peoples Democratic Party and the All Progressives Congress in Akwa Ibom State have been bickering on the issue of redeployment of the INEC REC for Akwa Ibom state in the past few days. To register their discomfort over the continued stay of Mr Igini in office as REC for Akwa Ibom State The All Progressives Congress (APC) had petitioned the Chairman of the Independent National Electoral Commission (INEC), Mahmood Yakubu, calling for Igini, for alleged hatred for the party. However fresh facts have emerged chief Akpabio may have not rested in his bid to get Mr Igini out of Akwa Ibom State as the former Akwa Ibom State Governor is said to have sought the help of President Buhari Chief of Staff Abba Kyari to help him sit with the President no matter the busy schedule so as to brief on why the INEC REC must be redeployed to another state. A source close to the Presidency disclosed that to help Akpabio brief the President on the issue and get his nod, Chief of Staff to President Buhari, Abba Kyari had given orders to the Protocol team to ensure that Akpabio sits close to the President at the APC Port Harcourt Presidential Rally against laid down protocol arrangements or sitting arrangements followed at previous campaigns. According to the source; “To be honest, it is always difficult for the President to sit with anyone one he comes back from any campaign because he would definitely be tired. So the only assistance the chief of staff could offer him was to sit him close to Mr President at the Port Harcourt rally so Akpabio try to bring up the matter with Mr President” Our source said. It was further gathered that the only time senator Akpabio was able to bring up the matter before President Buhari was in the presence of APC National Chairman Adams Oshiomole. The former Senate Minority Leader is said to have told President Buhari that if he hopes to win Saturday’s election in Akwa Ibom, the only way out was to send Mr Igini out of Akwa Ibom State and bring in someone else who is “friendlier” Also recommended for redeployment by Senator Akpabio is the new Commissioner of Police, Bashir Makama. The source said Mr Kyari was to take up the matter afterwards. Efforts to reach Special Assistant to Senator Akpabio, Anietie Ekong on his Glo mobile number for comments on the issue were unsuccessful as the mobile operators said his number could not be reached.